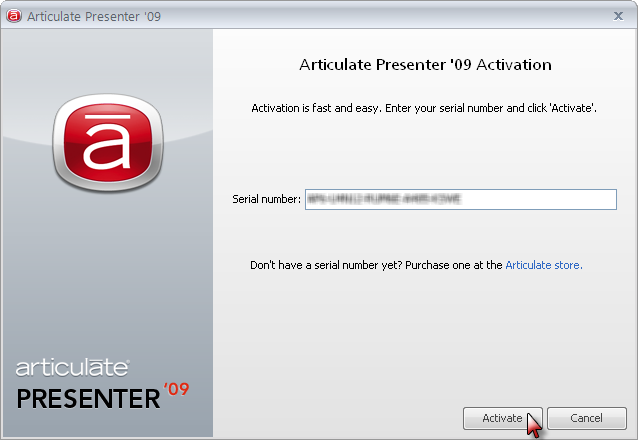 After you have installed Presenter ’09, you will have 30 days of trial period, after which you need to activate your software using the serial number you received when you purchased it. 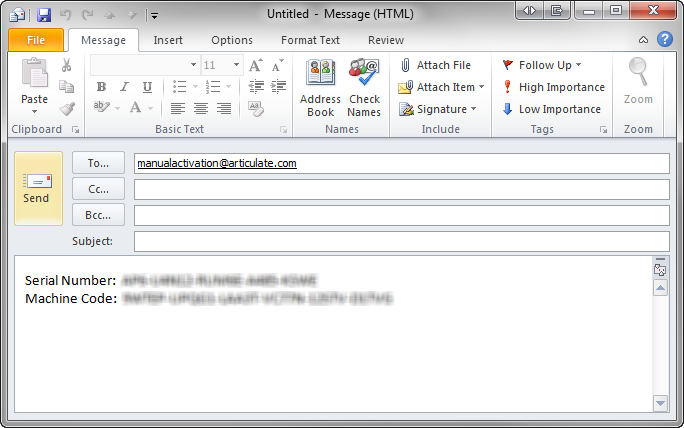 You will receive the following message: "We are unable to contact our activation server. 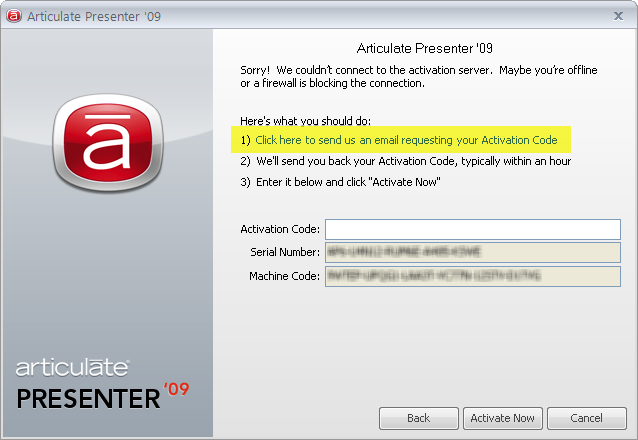 Please try manual activation. "Click the OK button to proceed.